Wishing you a Happy Easter this weekend with four of our favourite egg decorating ideas spotted this year. Other than washi tape eggs, of course! We'll be back on Monday with a little Monday Morning Eye Candy and shipping will resume on Tuesday after the long weekend. How will you be celebrating Easter this year? We'll be celebrating with our annual egg hunt, family time, and lots of hot cross buns! Love these colorful Easter eggs. 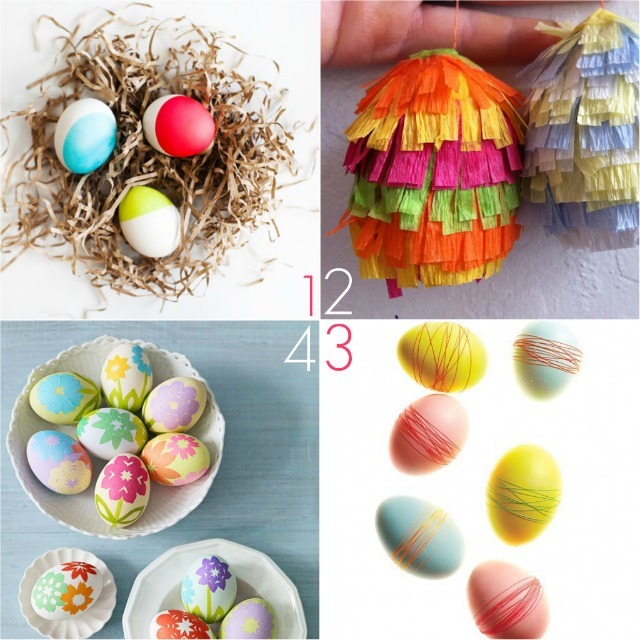 would you mind if I will repin these photos in my Easter 2014 pinterest board? Cheers!